Apparently, Donny is super hungry most of the time. 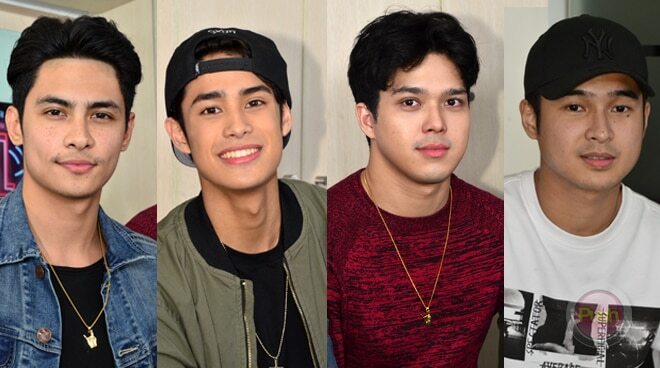 Thanks to their latest movie Walwal, Jerome Ponce, Elmo Magalona, Kiko Estrada, and Donny Pangilinan were able to form a brotherhood that is built to last. That said, over the past couple of months that they have spent together, they also found out things about each other that no one probably knows until now. During a bloggers' conference for Walwal held at ABS-CBN earlier this week, the cast of Walwal was asked to share things they learned about each other that is not yet known to the public. But Jerome, Elmo, and Kiko only strongly agreed on one thing: Donny and his love for food. "'Di ko ineexpect 'yung gutom niya. Like super. Super talaga. Kargador," Jerome said. "Donny is the most hungry, that's a fun fact. And it doesn't show," Kiko stated. "I mean like 2-pc. chicken with like 5 rice," he added. "Matakaw si Donny, super. Before kami mag-take ng scene, kakakain lang namin then after ng scene sasabihin niya 'tara kain tayo'! As in bottomless talaga 'yung tiyan niya," Elmo also shared. Well, maybe he just loves food that much.